YouTube VideoAre You Ready to Dramatically Improve Your Health? We are a group of Buteyko Practitioners that offer original or classical type of training, tailored for the reversal of serious health conditions such as severe brittle asthma, cerebral palsy, chronic fatigue, diabetes, emphysema, heart conditions, hormonal disorders, lupus, multiple sclerosis and other chronic systemic disorders. We also train athletes and those who aspire to augment endurance and performance etc. We have practitioners in the UK, US, Europe and Asia and offer individual and workshop training in person and through video conferencing. 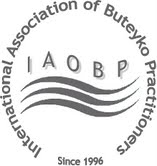 Within our group are amongst the most highly qualified and experienced practitioners of Buteyko's Method in the world - including consultants who worked directly with Professor Buteyko for decades and have experience in the most difficult and complex of cases. Our lineage to Professor Buteyko is direct and unbroken and commenced with his most successful protege, Alexander Stalmatsky in 1976.